One charity that I fully support is Martin House Hospice who provide care and support free of charge to children and young people with a life-limiting illness and their families. Martin House Hospice is a local charity and I was more than happy to attend the recent blogger event, #B3CharityRevamp, held to raise money and also awareness of their work through our blogs. The blogging event was held at Just Grand! 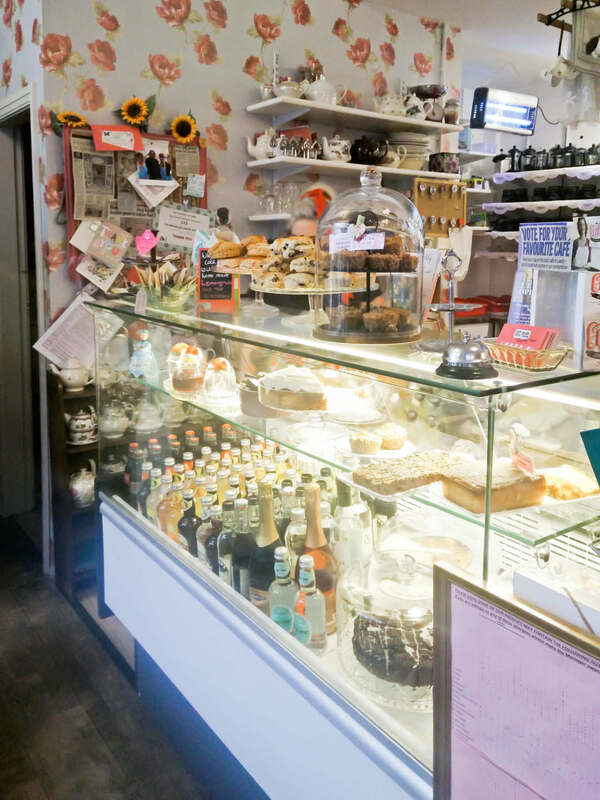 Vintage Tearoom in Leeds city centre, a really lovely little tea room I had never been in before but wanted too after seeing lovely review. 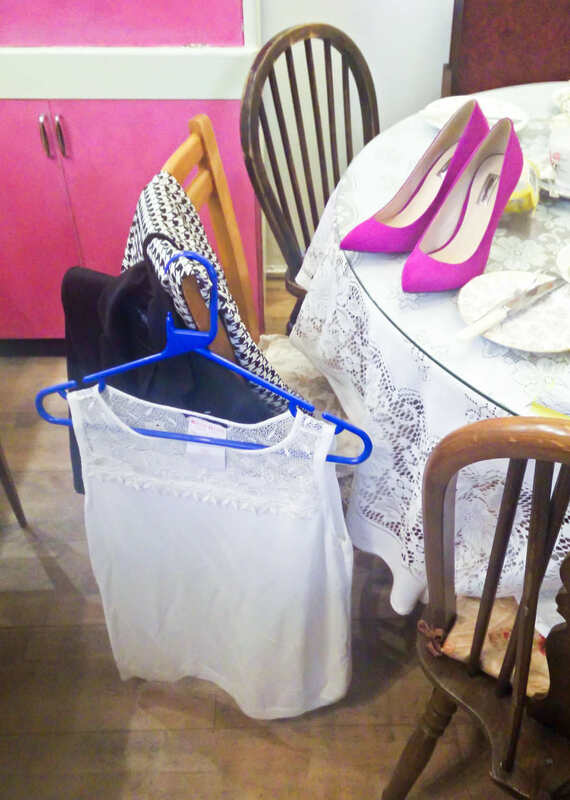 All the bloggers brought clothes to donate and sell at the event so Martin House Hospice had rails and rails or clothes to choose from. There were a few competitions as well for the bloggers, the first to create an outfit from the rails. I chose a white top, black blazer, hounds tooth Topshop trousers and some Topshop fushia pointed heels. I didn’t win but thought I created a pretty awesome outfit all the same. 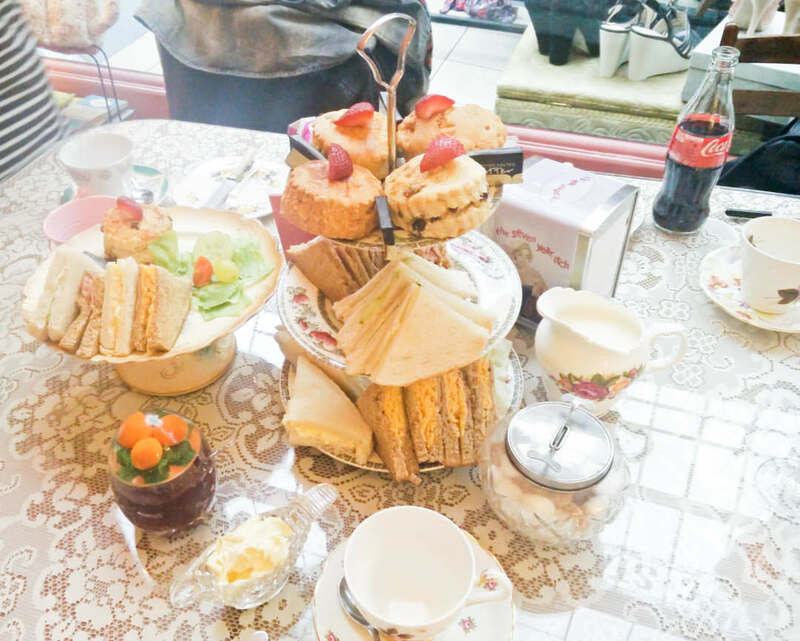 There was also a charity raffle and afternoon tea which was delicious and I love the vintage touches at Just Grand! Hopefully we not only helped raise a lot for Martin House Hospice but also brought some more awareness to this charity through our blogs. 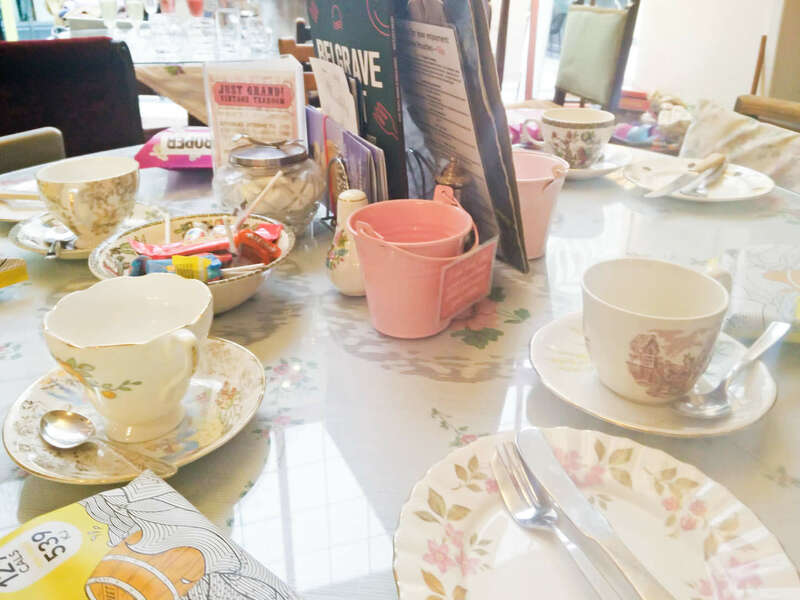 It was lovely to catch up with some blogger friends too over a cup of tea whilst failing miserably at some of the vintage quiz’s! Overall we managed to raise £300 between the 20 or so bloggers there which is fantastic, plus all the clothes and shoes that everyone donated. Martin House Hospice rely entirely on donations and fundraising so if you are interested in donating you can find out how to here.